Green Beans are one of most popular and versitle veggies.Steam, roast, boil or stir-fry Green Beans until they are barely tender. Great fresh, canned, and frozen. 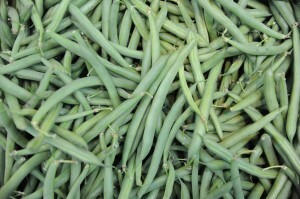 Green, yellow, french cut or Thai beans find there way into our diet almost daily. Select bright and crisp beans. Avoid wilted or soft pods. Beans should have a definite snap.